One of my mottos is that, in every season of the year, one can never have enough sunglasses, they add something special to any outfit as well as protecting our eyes from sun/wind...and help us looking glamorous !. 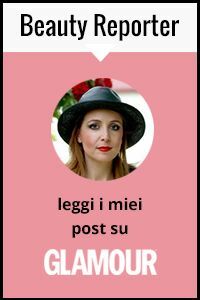 Well, I am VERY pleased to announce a new amazing giveaway starting today on Fashion and Cookies in collaboration with the webshop SunglassesShop.com !. SunglassesShop sells trendy designer sunglasses and has a huge variety of models and brands. 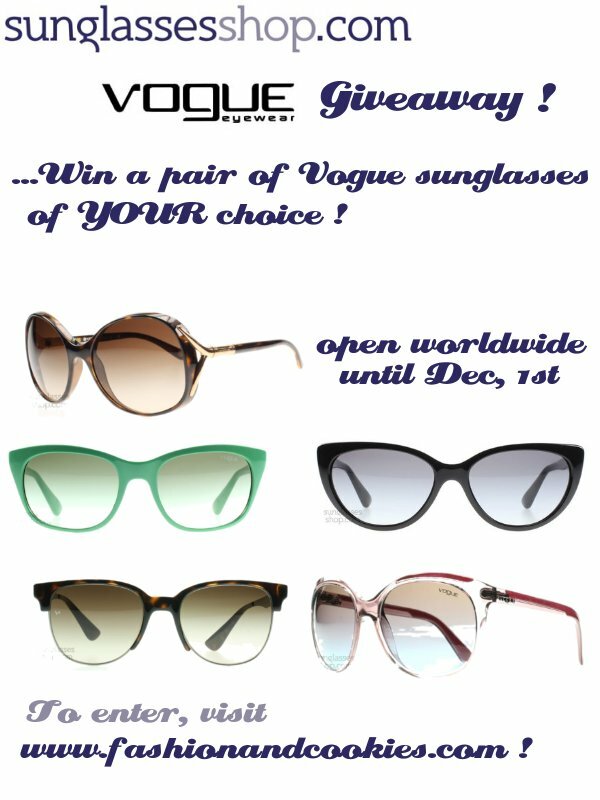 With this giveaway, one lucky winner will have the chance to pick a pair of Vogue eyewear sunglasses of choice among all the ones sold the shop ! This is great because it will be easy to find the perfect model and shape, you can see the whole range of Vogue sunglasses on the website !. The International Giveaway is starting TODAY, open until December 1st, using Rafflecopter form you can find at the end of this post. The winner will be selected randomly with Rafflecopter, announced on the blog (and also on Facebook and on Twitter). The winner will comment on the blog or FB page and let me know the sunglasses of choice among all the Vogue ones and the name and details will be given to SunglassesShop so they can contact you to send out your sunnies. Good luck everyone :). Keeping my fingers crossed to win! Great giveaway, I'm in !! Im following u here as ireastur90, in facebook as Irene Bernal Modino, and with Bloglovin't as I dont use it, I guess my name should be irenita or kind of sorry! Me encantan las gafas. :3 Muchas gracias por pasarte por mi blog, siento mucho haber tardado tanto en volver a publicar pero: ¡ESTOY DE VUELTA! :D Un besazo! Tanks for this amazing oportunity! Great giveaway!!! Thank you for inviting me! I did most of the rules!!! My name is QueenLina..
Great giveaway!!! Thank you for inviting me! I did most of the rules!I dont hv a blog nor instagram. Wow was this a promotional giveaway? Wow go the most promotion you or the sponsor? Good grief!